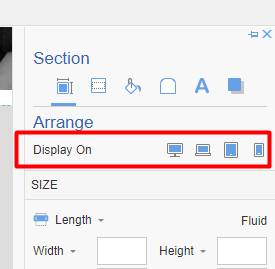 After completing the design on Themler on Desktop view mode, I attempted to see them on Laptop, Tablet, and Phone view. All except the phone view is aligned correctly. The Phone view is complete mess and I don't know how to fix this error. Most customers view my website via mobile device and this is critical that I fix this fast. No matter what correction I make, it reverts back to the scrambled look on a particular page on my website. Please review my page on a phone and offer and solution you may have. If you still have any issues with your theme, please, create new private ticket and attach your theme there with content or provide temporary access to your site. Well good luck I have been trying to get my problem fixed for over three weeks. I have a client that was going to sack me I talked them out of it but they won't give me the final payment of $500 until the problem is fixed and support does not care. I just had a thought have you tried the other pages to see if the issue is on them? if the issue is not on the other pages then maybe starting a new page and see if that works, using the same content. I have had to start a new page when I had a different problem, which fixed the issue. I've been using Thelmer for around 4 years it can be really temperamentally. Sorry no, I can make my sections as high as I want. Maybe try closing Themler down and starting it back up sometimes that works for me when strange things happen. Any adjustments made on the mobile version most of the time will not affect the other versions. On the mobile version use px not % for most things that works for me most of the time. Thanks. 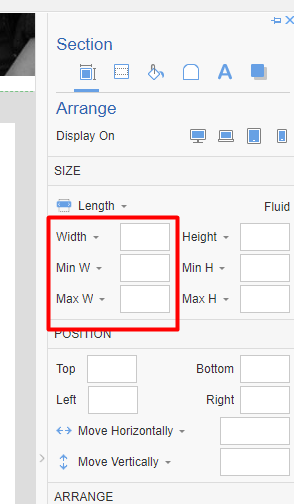 Do you know why many of my "sections" are limiting me to 1080px in height? Everything looks good in DESKTOP site view in my phone (Galaxy 9+). Now the FOOTER on this page is all messed up in PHONE view. Some items are hidden beneath the footer and I can't fix it. More I fuss with it more it gets messed up. Also many of my pages' "section" height in PHONE view locks at 1080px and I can't adjust it further. Why is this? ?